EXTRA CUTE GIFT FOR A FLOWER GIRL! 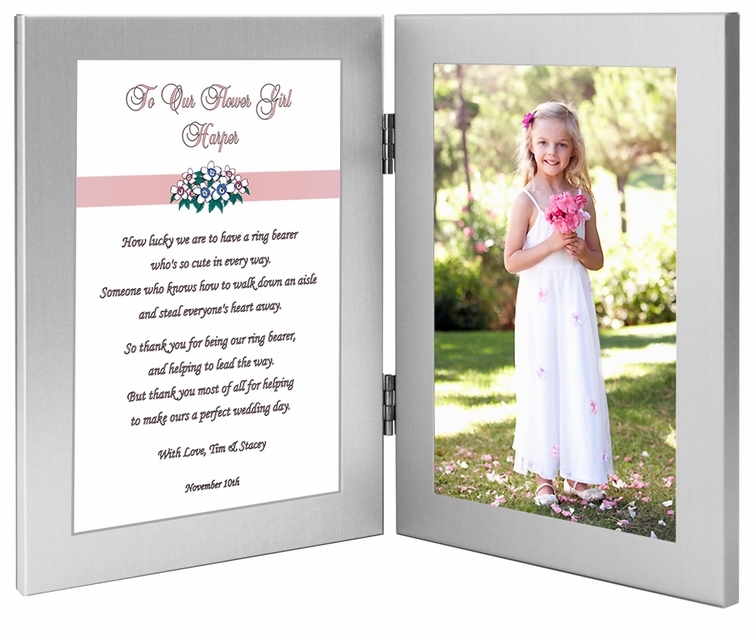 Adorable keepsake that says "thank you for being our flower girl" in a heartfelt and personal way. The original poem is personalized with names, date, and a personal message. Presented in attached 4x6 inch picture frames. Add a picture of the flower girl that can also be replaced after the wedding. What an exciting day in the life of a flower girl. Thank her for the important role she will play in making the bride and groom's day even more special with this lovely Flower Girl Poetry Gift. Modern attached double frame with cute poem in the left frame and an area for her picture in the right frame. What a thoughtful and meaningful wedding keepsake for your attendant!